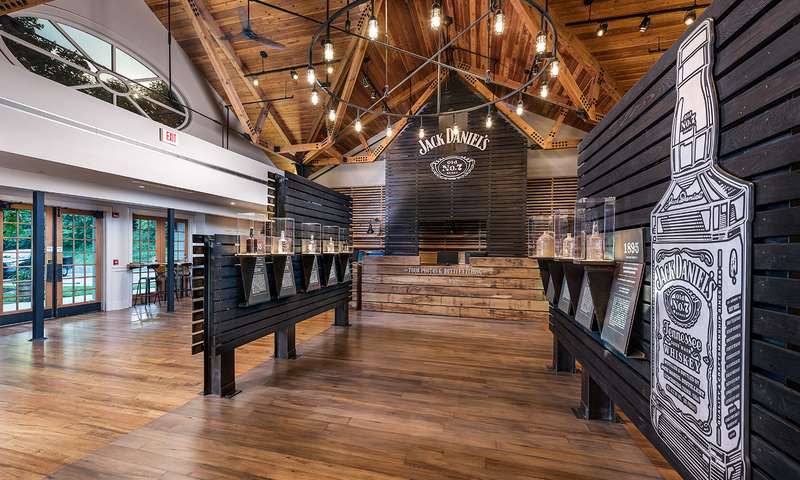 Jack Daniel made his whiskey and his name at his eponymous distillery and made his friends at his White Rabbit Saloon on Lynchburg’s town square. 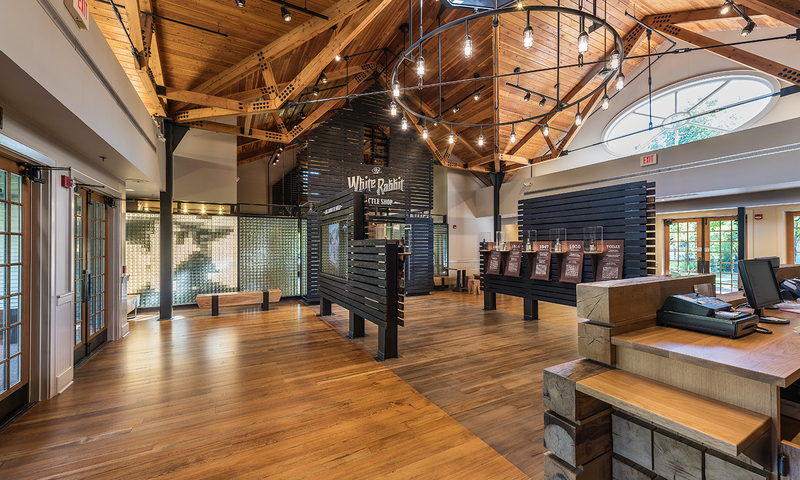 Tennessee Prohibition forced the saloon to close, but more than a century later, the White Rabbit Bottle Shop is open for a new generation of Jack’s friends to gather and find a signature sippin’ whiskey. 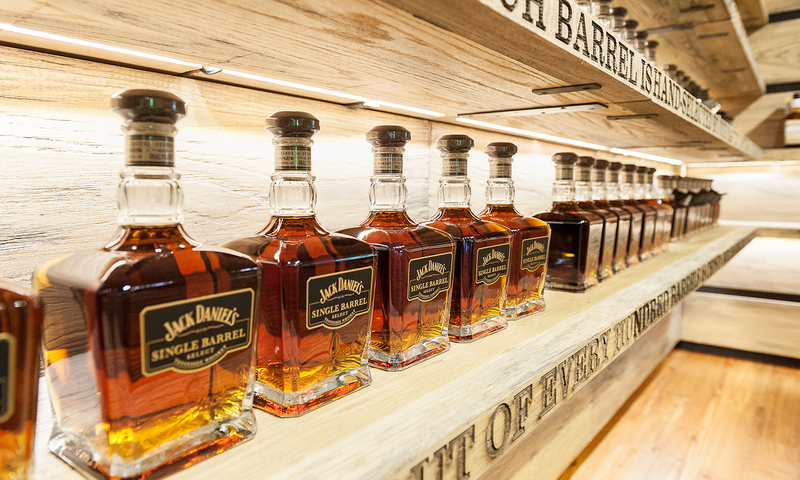 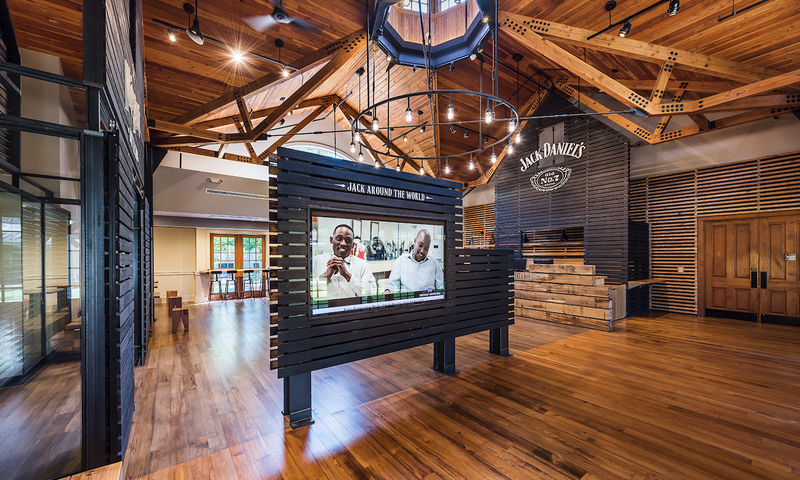 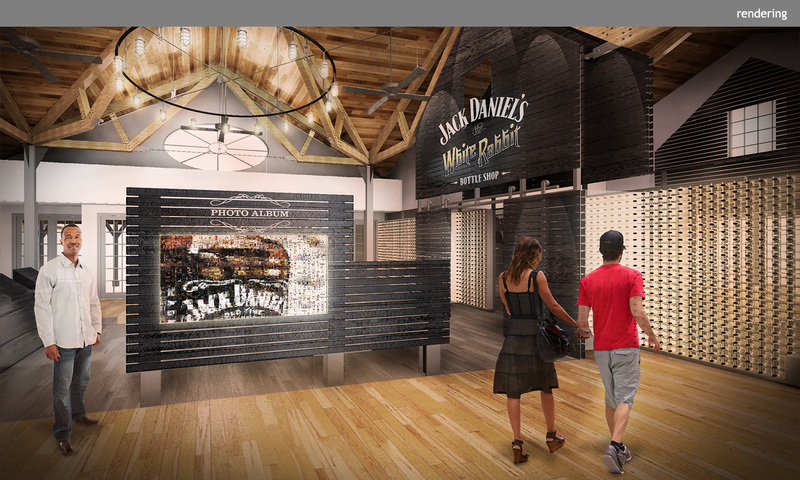 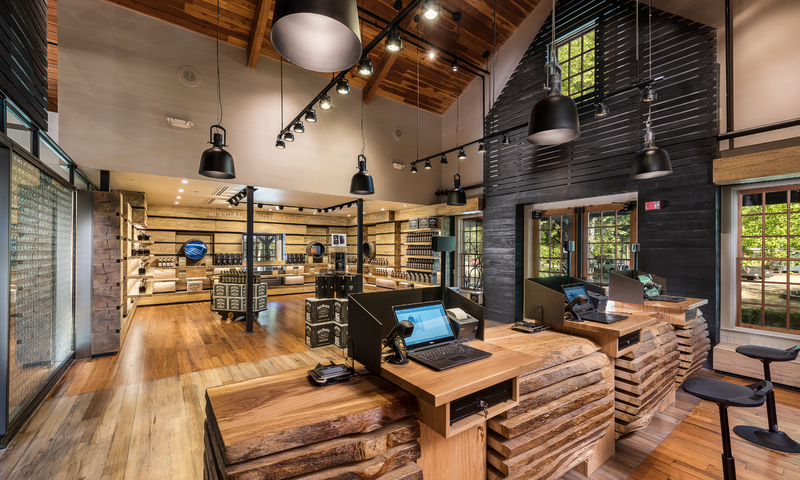 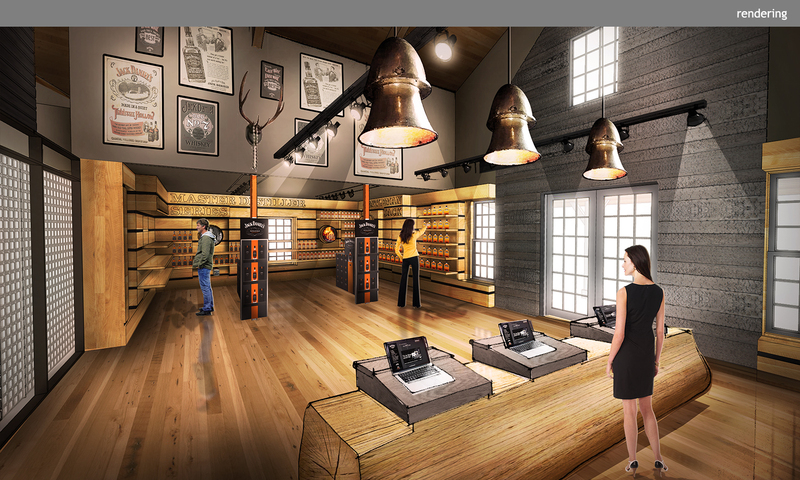 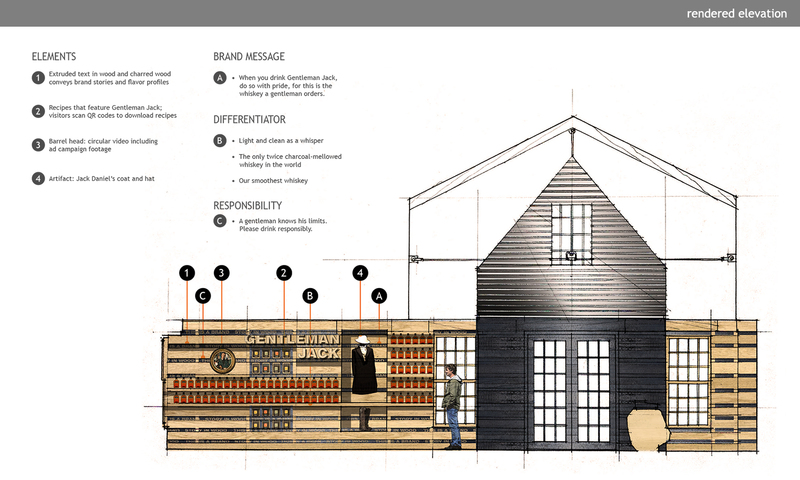 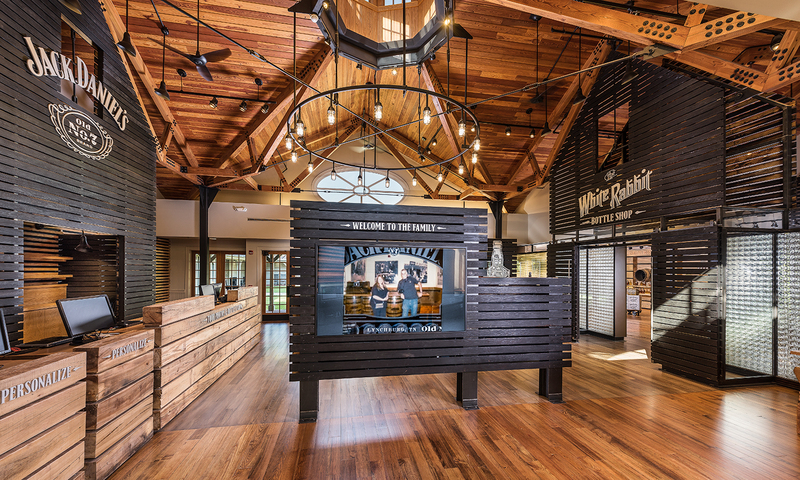 Part of an on-going effort to enhance visitor experience at the Jack Daniel’s Homeplace, Clickspring designed the new bottle shop, bottle customization area, and visitor gallery to communicate the tradition and materials of whiskey craftsmanship. 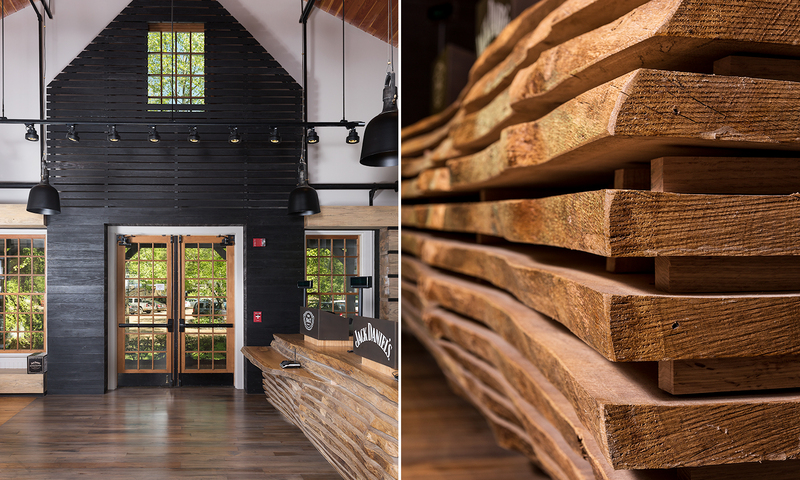 As such, the project combines charred wood accent walls, maple ricking details, a planed oak log cash-wrap, and a bottle wall forming a portrait of Jack himself. 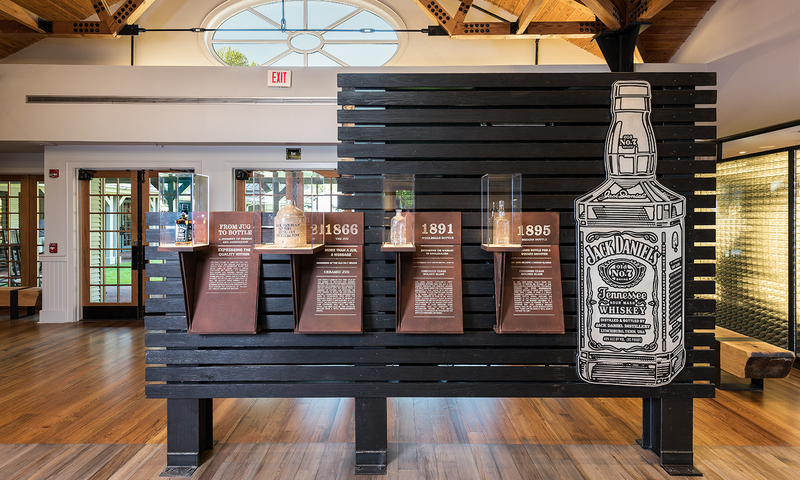 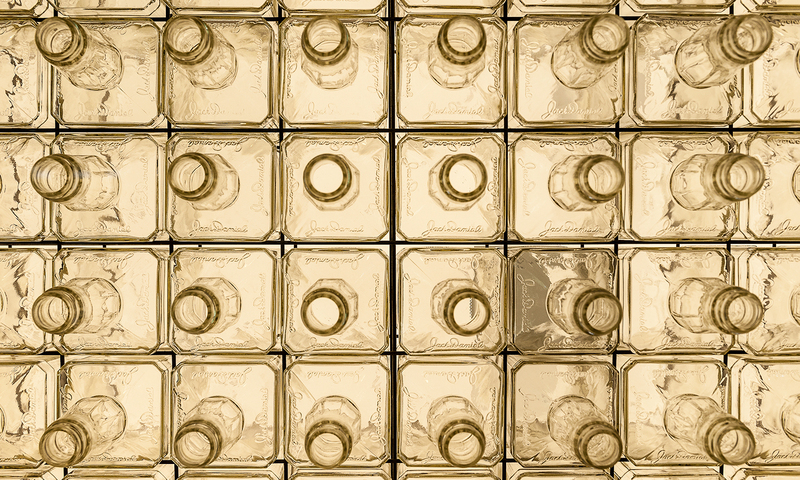 Historic bottle displays and large-format monitors work together to celebrate the brand’s evolution while connecting Jack’s friends around the world — at the White Rabbit Bottle Shop, visitors are completely immersed in an insightful perspective on the world’s most popular American whiskey.